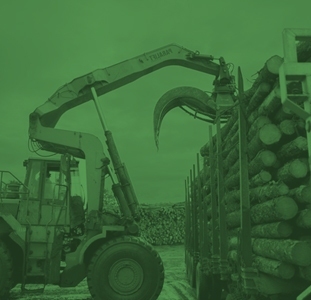 Montréal, Québec and Vancouver, British Columbia – EACOM Timber Corporation (ETR: TSX-V) (“EACOM”, or the “Company”) today announced that it has entered into a binding agreement for a $40 million secured debenture financing (the “Debentures”) backed by Fairfax Financial Holdings Limited and Lansdowne UK Strategic Investment Master Fund Limited. Fairfax has agreed to purchase $33 million of the Debentures and may assign a portion of the offering to other purchasers, at its option , prior to closing. Lansdowne will acquire $7 million of the Debentures. The transaction is expected to close on or before April 11, 2012 and is subject to TSX-V approval and the negotiation and execution of definitive documentation. The Debentures will be issued at par, will be secured by all of the assets of the Company excluding working capital, will have a 5 year term and will bear interest at a rate of 10%, payable semi-annually. The principal is due on the expiration of the term. The interest rate is subject to increase to 15% if certain corporate milestones are not reached. The Debentures will contain covenants consistent with a secured borrowing including: to maintain the security and its priority, not to sell any fixed assets covered by the Debentures’ security unless replaced by equivalent fixed assets or improvements to fixed assets, limitation on further indebtedness, guarantees and obligations, other than an asset-backed credit facility on terms acceptable to the holders of the Debentures and reasonable guarantees given by the Corporation to governments related to timber rights; no further granting of security on the assets secured by the Debentures subject to standard limited exceptions; and capital restrictions relating to dividends and repurchases. The net proceeds will be used for general corporate purposes. The Debentures will have detachable warrants (the ‘Warrants”). An aggregate of 200 million warrants will be issued having a five year term and an exercise price of $0.20 per common share. The Warrants will permit a cashless exercise, at the option of the holder, and are transferable subject to TSX-V approval. The purchasers will receive 5,000 warrants for each $1,000 principal amount of Debentures purchased. As part of the transaction, Fairfax will be entitled to nominate at least two directors to EACOM’s board immediately upon closing. Fairfax does not currently hold any securities of the Company. Assuming the completion of the transaction, the acquisition by Fairfax of $33 million of Debentures and the exercise by Fairfax of all 165,000,000 Warrants acquired by it in connection with the transaction, Fairfax will own and control, in the investment portfolios of its insurance subsidiaries, 165,000,000 common shares of the Company, representing approximately 26% of the 478,880,056 currently outstanding common shares of the Company (assuming the exercise in full of only the 165,000,000 Warrants to be acquired by Fairfax and approximately 24% assuming the exercise of all the Warrants). EACOM Timber Corporation is a TSX-V listed company. EACOM owns seven sawmills, all located in Eastern Canada, and related tenures. The mills are Timmins, Nairn Centre, Gogama, Elk Lake and Ear Falls in Ontario, and Val-d’Or and Matagami in Quebec. The sawmills in Ear Falls, Ontario and Ste-Marie, Quebec, are currently idled. Operations in Matagami and Val-d’or are currently on temporary shut down. 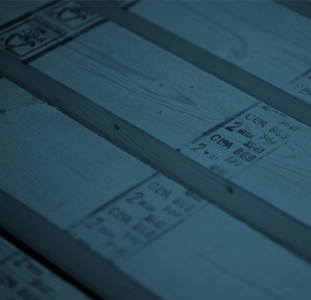 These temporary measures primarily relate to the impact of low lumber prices for stud grade lumber products, the strong CDN dollar and the impact of the 7.6 percent tax imposed on shipments to the U.S. EACOM also owns a remanufacturing facility and a 50% interest in an “I” joist plant. The TSX Venture Exchange has neither approved nor disapproved the content of this press release. The TSX Venture Exchange must approve the appointment of any officer or director.